The Tennessee Darkies was our name in 1922, and Richard Shaw Jepson was our founder. By day he worked for that famous ex-Chesham firm, ‘Liberty’ in Regent Street. He was a talented amateur violinist and a fine conductor, especially of choral singing. He brought together an assortment of singers, mainly from the church choirs of the town and particularly the Congregational Church in the Broadway (now the United Reformed Church), where he was choirmaster. Throughout our ninety year history we have been a nomadic Company, visiting a total of fourteen different locations to stage our main productions. The first three shows produced by the embryo company were minstrel concerts staged under the name of The Tennessee Darkies at the old Chesham Town Hall in Market Square and at the Sycamore Hall in Amersham, both these locations are now demolished with just a tower, housing the original clock mechanism, standing on the site of the Town Hall building. This hall was to be our home for the next few years, but it was far from convenient, the major problem being its first floor location with the dressing rooms down stairs on the ground floor; it was also very cold and draughty; and it was far from big enough to house either our audience or our cast. After three performances of the Tennessee Minstrel Show, Jepson and his assistant, Sara Christie, renamed the Society - The Cestreham Singers and Players, their first show, in 1924, was a concert version of Gounod’s Faust, followed by a fully costumed performance of Gilbert and Sullivan’s Trial by Jury. Sara Christie was the heart of the company, and contributed largely to its success. A fine contralto and a splendid actress, she had a ‘presence’ both on and off the stage and a large commanding figure to go with it. In 1925 the Cestrehams started on an almost continuous run of Gilbert and Sullivan shows, lasting right up until 1937. 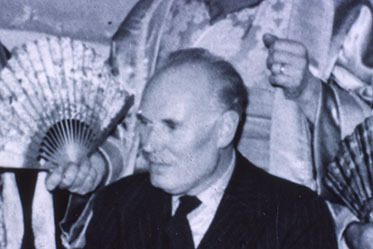 Maurice Barnes, who was the organist at the Congregational Church, joined them for the first of eight versions of The Gondoliers to be performed by this group and its successors. Barnes was a fine bass baritone and a first class actor, he was also a very gifted musical person and he and Sara Christie performed splendidly in all the early productions. With R. S. Jepson at the helm, the group staged The Mikado (twice) in 1926; Patience in 1927; Iolanthe, Trial by Jury and HMS Pinafore in 1928; and their last show to be staged at the Chesham Town Hall for 5 years, The Yeomen of the Guard in 1929. As the Regent Cinema in Amersham was owned by Maurice Barnes one of our patrons – Mr Alfred Woodley – he naturally made it available to our company. Seating 600 people and sporting a 30ft wide stage it was ideal for our purpose but, after three years, modern technology (the 'Talkies') cut short our stay in that location and we were forced to move once again. However, we stayed in Amersham, moving to the Playbox Theatre in Station Road, in 1932, to perform The Pirates of Penzance and to repeat The Yeomen of the Guard the following year. 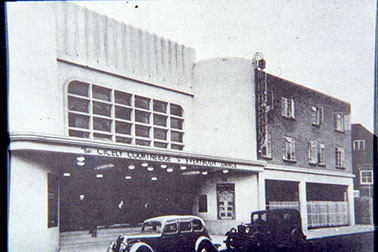 The Regent Cinema was demolished in the 1960s to make way for a supermarket, but the building that housed the Playbox (later renamed the Playhouse) still exists, it is now the auction rooms. By the early 1930s the club was back in Chesham, performing a concert at the Equity Hall, just opposite the Broadway Baptist Church. 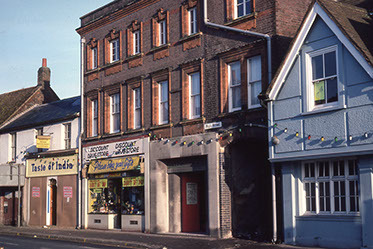 This hall was owned by the Co-op and still stands, although now it is the offices of a solicitor, for many years after the war it was used as the town council chamber. The company revisited the Chesham Town Hall twice more, for a Vaudeville Show and, in 1934, a production of Ruddigore, we also staged two productions in the Empire Hall, Station Road, one of which was a ‘straight’ play, Lord Babs, and the other a new staging of The Gondoliers. The newly built Co-op Hall in Broad Street was our final venue before we temporarily disbanded in 1938. The Co-op Hall became the site of the British Restaurant throughout the war years. The Empire Hall, which was located at the top of Station Road, was demolished after the war as part of an office redevelopment plan, as was the Co-op Hall which made way for the new Lloyds Bank building. The Cestrehams were far from being an affluent society. The shows were produced on a 'shoestring', with the members themselves making the scenery and the costumes. The committee had great trouble restraining Jepson from spending cash they didn’t possess; he often gave the impression he would like to have the London Symphony Orchestra in the pit instead of his faithful amateur group - the Mid-Bucks Symphony Orchestra. The second world war brought a temporary halt to the proceedings and it wasn’t until 1951 that the citizens of Chesham next heard the strains of G/S. The town council invited Maurice Barnes to reform the group and to stage a show for the Festival of Britain, so with a new name, Chesham Amateur Operatic Society, the Company performed The Gondoliers once again. Many of the pre-war stalwarts rejoined the group, including Doris Barnes, who, during a particularly vigorous rendition of the Act II Cachucha dance, watched as her shoe went flying dangerously out over the audience in the Embassy Cinema. Three years later history repeated itself when modern technology (wide-screen Cinemascope) forced us to find other accommodation. The Embassy, located opposite the Bucks Examiner offices in Germain Street, was finally demolished to make way for a block of flats. After performing a concert in the Church Rooms in Church Street, we moved back to the Co-op Hall, and stayed there for the following four years. In 1954, while rehearsing Merrie England, Maurice Barnes was taken ill and had to retire. 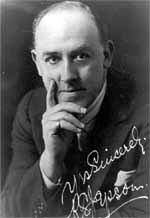 His place as Musical Director was taken by Harold Green who was another stalwart from the pre-war days. He had started in 1924, starring as the Defendant in Trial by Jury at the tender age of 17. He went on to sing the romantic leads for many years; his beautifully pure tenor voice was said to be a joy to listen to. Under Harold’s baton the Company continued, first with G/S, then mixing the Savoy Operas with operettas such as Gipsy Baron, Sweethearts, and Orpheus in the Underworld. In 1960 the new girls’ school in Chartridge Lane beckoned, and for the next eight years our singers battled against the reverberant acoustics of Lowndes Secondary School (now Chesham Park Community College). 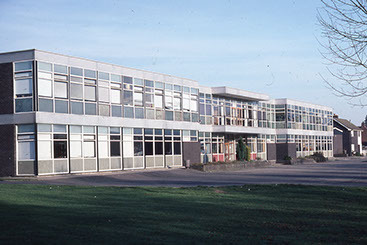 When the Cestreham Boys School opened in the mid 1960s it clearly offered us some improved facilities – larger auditorium; bigger stage; larger dressing rooms; and best of all better acoustics, so in 1968 we moved our home to the school that was the Chesham Campus of the Amersham and Wycombe College, now demolished and replaced by housing. Our last show there was White Horse Inn and for many years our painted back-drop of Austrian mountains remained on the back wall of the stage. Painted by John Young, it was described in one newspaper as being ‘like a chocolate box’. The variety of shows now being performed led to another change of name, in 1968, to Chesham Light Opera Company. 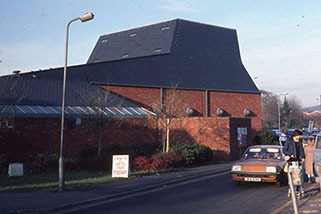 When Chesham finally opened its own purpose built theatre, the Elgiva Hall, in 1976, we were the first company to test its effectiveness by staging a lesser known Gilbert and Sullivan opera - The Sorcerer. Although better than the school halls of the past, we soon found the new theatre’s limitations – poorly designed orchestra pit; lack of stage wing space; inadequate dressing rooms; not to mention an uninviting foyer leading our patrons towards some extremely uncomfortable seats! The Elgiva 'Hall' With the arrival of The Elgiva, the Company began to spread further into more modern musicals, starting with a memorable Fiddler on the Roof (1977), a brilliant personal triumph for James Suich as Tevye. From then on My Fair Lady, Oklahoma!, The Pajama Game, Annie Get Your Gun, and other popular musicals mixed with occasional returns to G&S and operetta became our annual fare. Regular autumn productions, such as Tarantara! Tarantara!, Free As Air and our ever popular Old Time Music Hall, kept the Company together virtually all year. The Company continued to perform a selection of musicals in the Spring and G&S and concerts in the Autumn, through to the early 90’s. During the 1990’s it became clear that the audiences that had once flocked to see the performances of G&S were dwindling, and the population of the area were looking for more inventive and exciting shows, with London’s West End less than an hour away it became clear that the Company would have to be more ambitious in its choice of shows. The 'New' Elgiva, now known as The Elgiva is positioned across St Mary's way from the original hall. With the addition of Digital 3D Cinema the venue has moved with the times unlike the old hall. Still with some drawbacks inherited from the original theatre design that this was a copy of as the Town Council bowed to pressure from Sainsburys to compromise on what they got. Maybe the next one will be 'the one'... In 1996 the Elgiva theatre was to close its doors and reopen as the New Elgiva theatre across St Mary’s Way from the old theatre, this was all part of the redevelopment of the town centre Sainsbury’s, with the demolition of the old Elgiva and the old town council rooms to make way for an expanded shop and larger car park. Chesham Light Opera Company was once again proud and privileged to be the very first amateur company to perform in the New Elgiva when it opened in 1997. With the move came the impetus to try more challenging and larger scale productions, using grander sets, cutting edge lighting and sound to its fullest. In keeping with the new directions the Company was taking, the name changed again to Chesham Musical Theatre Company to reflect the move away from the operatic shows that we rarely stage now. We seem to be averaging a name change once every 15 years or so reflecting the changing tastes and relevance of productions the Company puts on. With this last name change and moving into the new millennium the Company really started to pull out the big guns in production values, some lesser known shows like Copacabana and The Best Little Whorehouse in Texas were staged to huge acclaim and in the case of the latter many raised eyebrows at the vigorous portrayal of the goings on in the establishment by some of the younger members of the company. What was envisaged as a subtle silhouette backdrop during a conversation front of stage became rather more of an unplanned visual distraction! There was also a much greater emphasis on the dance side of the shows and teams of singers/dancers now form for the shows, often having to be split to manage all the big dance numbers that are now part and parcel of Chesham Musical Theatre Company's productions. For our 90th Anniversary we introduced a modified logo, but no name change! Hopefully we will be celebrating our 100th anniversary in 2022, as the longest membership based amateur theatre company in the area and with only another 10 years, twenty more shows doesn’t sound too many to put under our belts. We trust you have enjoyed reading a little bit of background history of the Company. Here’s to ten more years (and more! )of entertainment for Chesham and the surrounding area. Hopefully we will be in the Elgiva but only if you our greatest assets are able to continue to support your local theatre and us, as your local theatre company. Finally we are preparing for a momentous celebration in 1922, our 100th Anniversary. We will be planning some extra special celebrations and performances in our centenary year, keep an eye out for news on this website and our social media channels.